As you grow older, the effects of long-forgotten sunburn from sunny holidays in your youth can reappear as brown spots or patches of pigmentation on your skin. 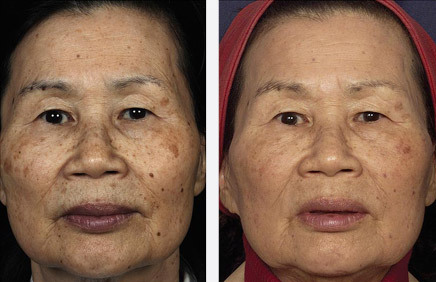 Also known as age spots, sun spots, liver spots, freckles, or senile lentigines, this discolouration can noticeably alter your appearance, making you look older than you really are. 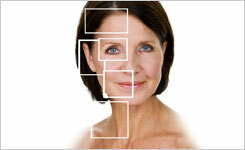 At Bodyvie, we offer one of the most advanced pigmentation treatments available. Our highly-trained medical professionals carry out your treatment using multiple wavelengths of light emitted from a laser, which gently exfoliates and removes the pigmented skin, at the same time as penetrating the skin to activate the metabolism of your skin cells and spark collagen production. Before your treatment, you will have an in-depth consultation with your Bodyvie aesthetician to discuss your requirements, and we will conduct a test patch to ensure that your skin will respond well to the laser. The procedure itself is relatively comfortable and quick, and there is little to no downtime, allowing you to return to your normal activities soon after. You may notice some inflammation after your treatment; this is the result of the collagen getting to work, and it should subside within a week. * Each treatment may vary from one person to another. This safe yet highly effective treatment can target skin discolouration anywhere on your body, including your face. The number of treatments required for optimal results varies from one person to another, but you should expect to need several sessions at intervals of between two and four weeks to remove discolouration entirely.